With over 15 years of professional speaking and retained executive search experience Desmund Adams brings unique insights to the leadership demanded by consumers and employees alike. In 2012, after closing Talent Acquisition Group, an award-winning, retained executive search firm, Desmund sought a position of public leadership. He made headlines in 2013 when he received a Tribute on the floor of The U.S. House of Representatives by The Honorable Tom Latham. The Honorable Member of Congress stated in the U.S. Congressional Record "Desmund Adams is the epitome of an American success story." In 2016, Desmund decided to leverage his leadership experience and opened Focus & Find, a socially responsible, retained board and executive search firm. 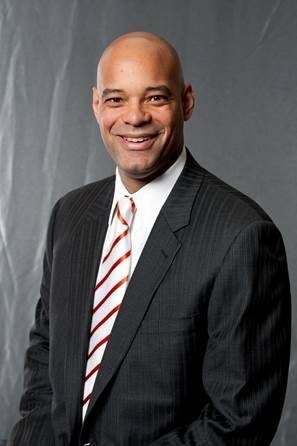 Driven by his in-depth knowledge and experience, Desmund connects with his audience through engaging practical life experience and efficient explanation of complex leadership issues facing corporate senior leadership in the boardroom and C-suite. He speaks on topics including the importance of diverse and inclusive candidate slates in the recruitment of diverse, senior executive talent, developing dynamic executive talent benches and pipelines, and moving beyond the diversity, ROI impasse. The ease with which Desmund speaks about these topics makes him ideal for both keynote speeches and breakout sessions. Click here to learn more about Desmund’s speaking topics.